Deputy Prime Minister Nguyen Thien Nhan said that educational institutes must maintain high standards of integrity and honesty in their practices, refraining from exaggerating their accomplishments falsely. The Deputy PM was speaking at the opening ceremony of the new academic year of the Viet Duc High School in Hanoi on September 4. 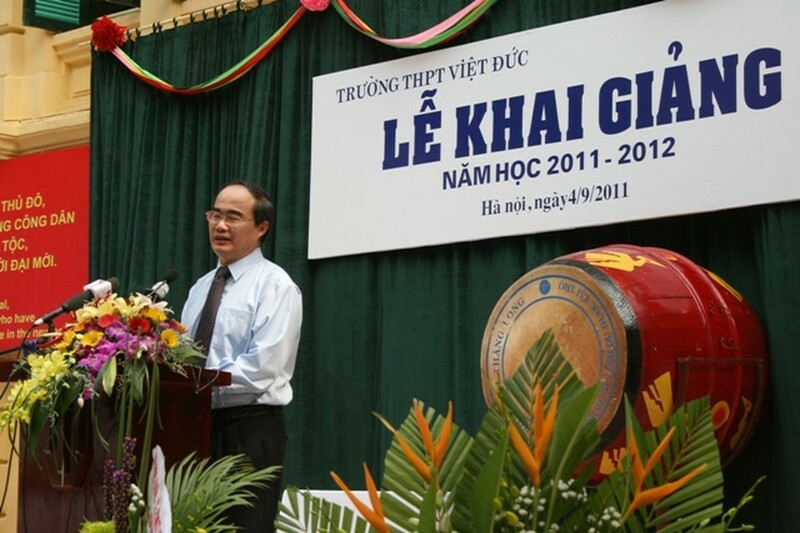 On the same day, the Minister of Education and Training Pham Vu Luan, Fields Medal winner Ngo Bao Chau and leaders of the Communist Youth Union participated in the opening ceremonies for the new academic year 2011-2012 in the Natural Sciences High School for gifted students at the University of Natural Sciences and also at the National University in Hanoi. The Natural Sciences High School for gifted students has groomed many excellent students for international contests. Many of its former students are now well-known personalities, such as Professor Tran Van Nhung, former Deputy Minister in the Ministry of Education and Training, Professor Dao Trong Thi, Fields Medal winner Ngo Bao Chau and Professor Dam Thanh Son. The 90th founder’s day anniversary and the beginning of the new school year were also celebrated at the Quoc Hoc Quy Nhon High School in the central province of Binh Dinh. The school has a long legacy of training gifted students for district levels and for national contests.